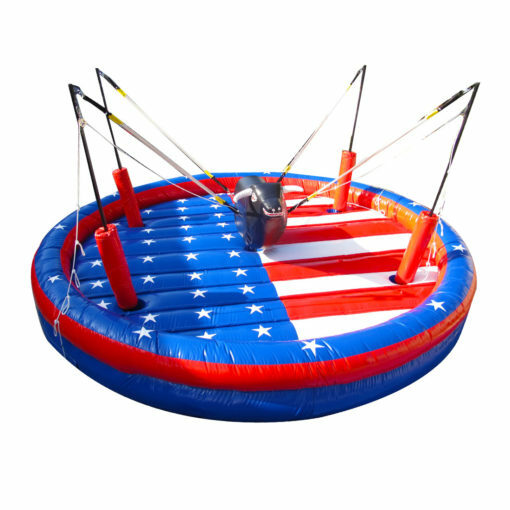 Our Bungee Bull is as much fun as the infamous mechanical bull but without the jarring and jerking. Hold on tight for the ride of your life! 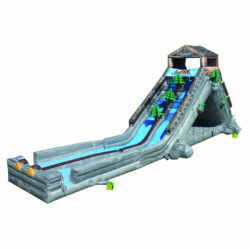 Dimensions: Length: 16′, Width: 16′, Height: 10′, Weight: 750 lbs. Remember the movie “Urban Cowboy”? Our Bungee Bull is just as much fun as riding a real bull but without the broken bone hazard. 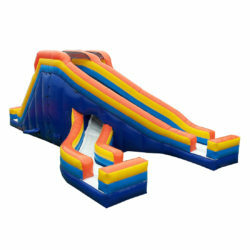 Our Bungee Bull is as much fun as the infamous mechanical bull but without the jarring and jerking. 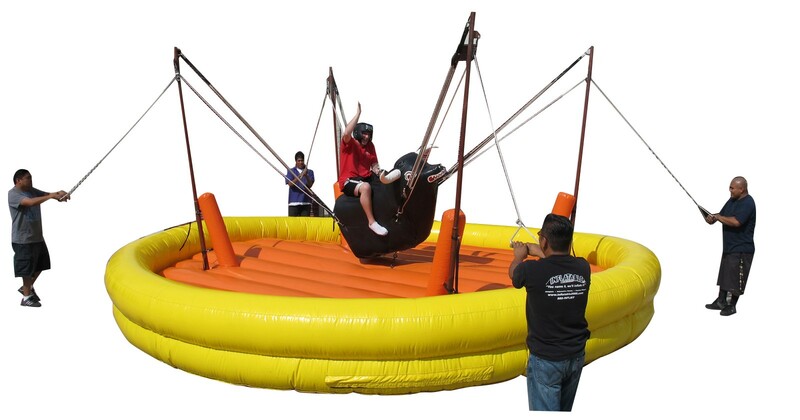 Participants ride on a foam, padded bull and hang on for dear life while fellow cowpoke pull four bungee cords, attempting to safely toss you off onto an inflatable mattress to cushion your fall…because you WILL fall. Hold on tight for the ride of your life! Great for team building, as the teams pull on the cords trying to knock the opponent off, saving you money on extra labor. 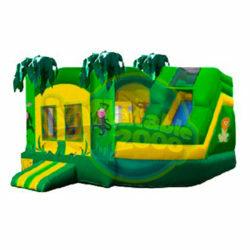 Includes steel work, aluminum-padded Bull, bungee cords, ropes, and one Blower.